So what do we do? Ditch the trowels and send up the white flag? No! There are ways to deter the deer and keep gardening a joy, not a struggle. Here are four things you can do to keep your garden safe. 1. Smarter Plant Selection! Garden with plants that are fuzzy, prickly, heavily scented (lavender, alliums, sage) or have a coarse texture. Deer don't like the pricklies any more than we do. Heavy scents are offensive to deer. Because they seek out food with their noses, if the odor is too strong, the deer are less apt to enter the garden. Does this mean hostas are out? No. I like to add a lot of hellebores, pulmonarias and ferns in the shade garden. These plants are not enticing to the deer, and they help to shield the hostas from nibbling deer. 2. Repellents. The trick is, be it a homemade concoction or store bought, you must be consistent. 3.Fence it off. Deer are fabulous athletes and can jump a fence with ease (I’ve seen them), but they seem to be a tad lazy, too. So, if they can walk around a fence to an unobstructed garden, they will. 4. Cut back on the temptations. 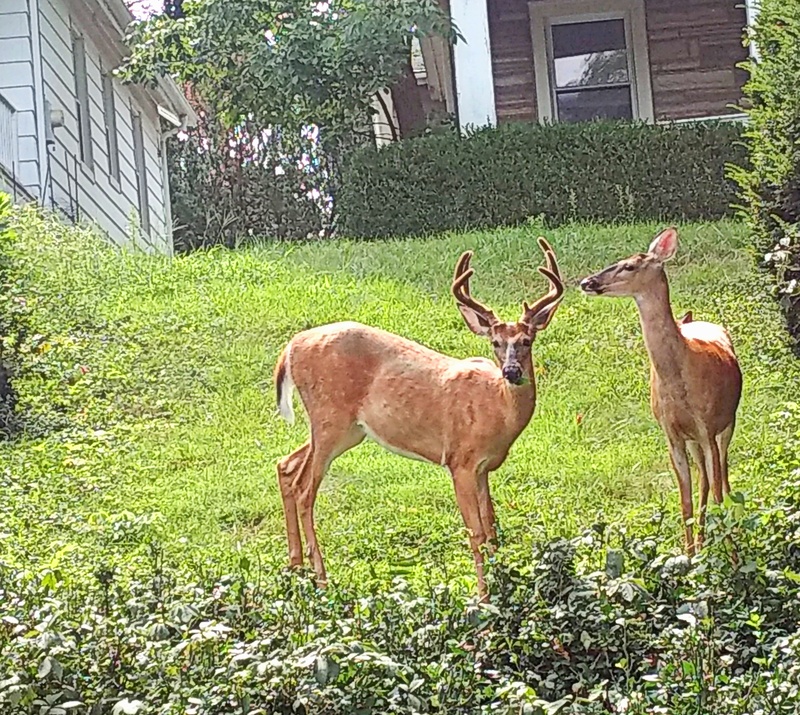 If you garden with a lot of plants that deer desire, incorporate those plants towards the center of the garden or close to the house rather than the perimeter. Don’t feed the birds in the summer. Deer are drawn to bird feeders. Nature and your thoughtfully selected plants will provide for the birds in the summer. Give us a call to learn which deer-resistant plants would incorporate well into your garden.